A white van has reportedly ploughed into 20 pedestrians in a suspected ‘terror attack’ on London Bridge station. Armed police are said to be at the scene while people have been seen fleeing the landmark in central London. There are unconfirmed reports of at least one victim being stabbed. One witness told Reuters that she saw what appeared to be three people with knife wounds and possibly their throats cut. 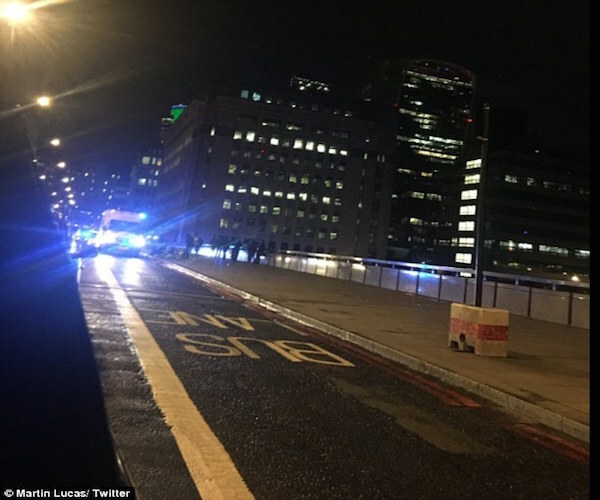 London Bridge and the area around it has been closed due to a ‘major police incident’, TFL said. Witnesses told the BBC that a white van veered off the road on London Bridge and hit five or six people.